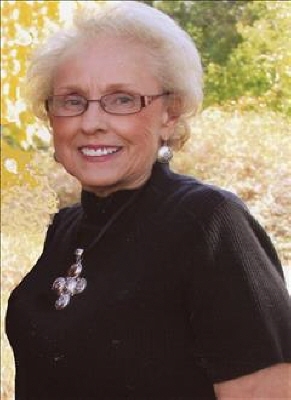 Beulah Goodwin, 77 year old Woodward resident died Friday, March 15, 2019 in Oklahoma City. Funeral services will be held at 11:00 am Tuesday, March 19, 2019 at the Lincoln Avenue Baptist Church. Interment will follow in Elmwood Cemetery with the Billings Funeral Home in charge of arrangements. Beulah Faye (Boyle) Goodwin was born on August 28, 1941 in Woodward County to William and Susan Beatrice (Loomis) Boyle. As a child, Beulah grew up on the family farm in Woodward County. She attended Tangier schools through the 10th grade and then graduated from Woodward High School. Beulah was united in marriage to Lee Don Goodwin on November 27, 1960 in Woodward, Oklahoma. They made their home in Oxnard, California. Beulah and Don also lived in San Diego, California and Oklahoma City before returning to Woodward. To this union three boys were born, Marvin; Robert; and Charles. Beulah worked for the State of Oklahoma in the Department of Mental Health as an Administrative Assistant in Fort Supply and Woodward, retiring after 32 years. Beulah loved her family, especially her children and grandchildren. Throughout the years she and Don made several trips following her grandchildrens games and activities. She was a member of Lincoln Avenue Baptist Church. Beulah is survived by her sons; Marvin Goodwin and wife Susan; Robert Goodwin and wife Marla all of Woodward; Charles Goodwin of Okeene; six grandchildren, Alisha Shrout; Amy Goodwin; Brogan Goodwin and wife Brianna; Chandler Goodwin; Trevor Goodwin; Briley Goodwin and wife Kaylee; five great-grandchildren, Ryan Boulware; Kash Boulware; Mason Boulware; Preslee Goodwin; Jocelyn Goodwin; sister, Carolyn Poage of Yukon; two brothers, Billy Boyle and wife Rita; Elwyn Boyle and wife Sue all of Woodward; other family and many friends. She was preceded in death by her parents and her husband, Don. To send flowers or a remembrance gift to the family of Beulah Faye Goodwin, please visit our Tribute Store. "Email Address" would like to share the life celebration of Beulah Faye Goodwin. Click on the "link" to go to share a favorite memory or leave a condolence message for the family.